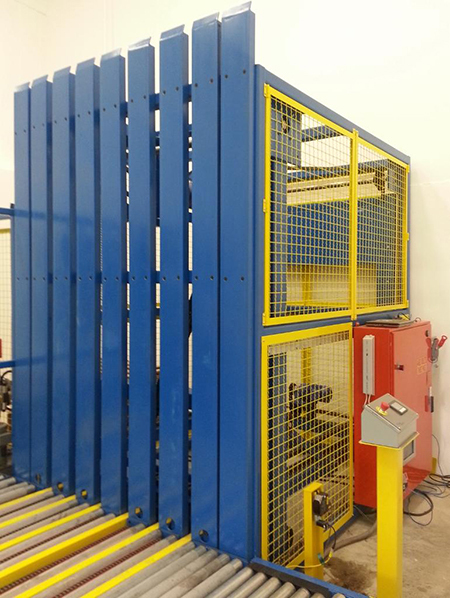 The C&M Load Tiering Device unit provides reliable 24/7 performance and improved system throughput by automating the process of tiering (double-stacking) loads and eliminating the need for fork lift operators to perform this task. The self-contained unit ships fully assembled for quicker installation. It features all-welded steel frame construction and a user-friendly operator touch screen for setup and manual operation. Automated tiering of strapped loads up to 55” high and 2,400 lbs.